1) When you get home from school, have a healthy snack and a drink of water. Get changed out of your school clothes and get ALL your books and pencils etc out of your bag so you don't MISS anything. 2) Get all of your homework out and identify what is going to be easy and what is going to be difficult. Also identify what is going to take a long time (has many components) and what can be done quickly. 3) Get the tasks that are simple and repetitious, like writing out your spelling and times tables, or mathletics on the computer, out of the way first. If you have corrections to do from the day or week before, get them done first as well. 4) When you have completed an entire task, and are feeling a little fidgety, go and have a drink of water, and put that task away in your bag. Finished! Begin the next section of your homework. 5) If you are doing something difficult like maths units, do not get stuck on one problem for hours. If you have not been able to get the maths problem finished, make a star next to it, or circle it on the page (in pencil!!) and move on until you have completed all your work. You can remember to ask your mum or dad, or teacher, for help with the problem in your maths class. THAT is what teachers are for. Too often we forget to ask them for help and struggle at home alone. That does not mean do not try to understand it... it just means don't waste time getting bogged down and leave all the other homework unfinished. 6) If you have to do something that requires research (and therefore reading) you need to attack it differently from how you read a problem solving question or a set of instructions. If you are learning about penguins for example, you need to sit down (with something to eat like a banana always helps) and actually READ all of the information FIRST. THEN go back and make some points answering the questions you were seeking. Do not just copy reams and reams of information down off the computer. It is tiring and isn't necessary. It might feel like "hard work" having to read all about penguins.. or volcanoes.. or how an ecosystem works..... but that is part of the discipline of homework and you can't avoid it. So; read it out loud. Sing it. Tell it to your mum. Talk to yourself about it as you read.. say "Wow" or "That’s interesting" and make it interactive and fun. 7) When you have to give a talk or debate about something, same rule as question 6.... thoroughly research (by reading about and then telling someone else about the information - like mum or dad) the subject and then just jot down the points you might forget, like dates and locations. You can use those points to jog your memory when you are giving your talk at school, rather than write the entire talk down and spend hours and hours writing and reading it out. You can train your memory to remember all the information for you! You don't need to spend hours and hours and hours writing out palm cards. You actually just need to spend time reading the information, jotting down the really important points, and then you can just put key words to help you remember the entire talk. It takes practice but there are great tips about it in my program. 8) If you find yourself getting distracted, go for a very quick drink of water, jump up and down on the spot a few times, and then get straight back to work! 9) Plan for assignments that will take a few components. You could do the reading and research and point making on one day, collect the pictures and other pieces you will need for it the next, and create the assignment (for example a poster) on the last. It does not all need to be done in one night. In fact, breaking it up will make you feel less tired and stressed, and teach skills for high school. 10) Always do a little bit of homework on the weekend, even if it is a very busy one. When you get to high school it simply won't be an option, you will have to.....and training yourself to do a little homework on Saturdays and Sundays will really help you to have discipline about this when you are a teenager at high school. In term two, I noticed, with almost complete equality across ages and sexes, that most of my students without exception, struggled to complete their homework required for grading, despite weekly reminders in every class, numerous newsletters going home, and finally in desperation, even flyers. Clearly, doing homework was a huge problem for many families. As I talked to parents, the most common thing I heard was "We spend more time fighting about getting homework done, than the time it takes to actually get it completed!" I looked at how hard it was to get both parents and students on board with this small assignment. I thought about what I could do to change habits, break limiting self beliefs of both parents and children, and find a way to help everyone achieve success. If I am to teach and inspire my students not only with a love of martial arts and a desire to attain their black belts, but also with a love of learning new skills, then I must find a way to inspire them to learn HOW to study in their own time. Some may say “why should we do homework in martial arts” ... but the simple answer is, nobody can test for their black belt and achieve it by simply coming to one hour of martial arts a week and not spending time practicing daily at home. Nobody can remember their Kata by attending only once per week and not practicing at home....one cannot “cram” for the splits either. Proficiency at any given activity be it music, acting, sport, drama, debating... all require regular revision and practice four or five times a week. So I created a program called "Winning the Homework War - study survival skills for the Modern Warrior". There are literally thousands of families who have participated in my "Manners for the Modern Warrior" programs, and "Safety Skills for the Modern Warrior" child protective behaviour programs, so I figured the same format would work for homework, with a little tweaking to make such an unpopular task more palatable. On Wednesday 18th of July, I invite ALL parents to attend Hoshin at 6.30pm at Maria Regina for the launch of this new program. Every parent will be given a “Homework Pack” with notes, charts, sheets and diaries. I think the best way to start this program and make it work, is for those parents who really want to help their children succeed with their homework and studies, to attend WITH their children of primary age. Younger kids might be getting ready for bed at that time but one parent can still attend!! Everyone who wants to participate will have to register, and I would prefer if they also attended orientation. I will be asking everyone who truly wants to participate, to sign a pledge agreeing they will stick this program out for the full 8 weeks - we will start the program in week 2 of the term and we will finish it in week 10 with a graduation ceremony at the Wednesday class. I will spend the hour from 6.30 - 7.30pm explaining how the program is going to work, how to implement it, and how to trouble shoot stubborn young participants and common road blocks that parents hit. THERE WILL BE PRIZES EVERY WEEK FOR STUDENTS WHO SUCCESSFULLY PARTICIPATE IN THE PROGRAM!!! Yes, that is correct. Prizes. For every successful day of homework, each student will earn ONE SHURIKEN (rubber Senban, or Shuriken - we are after all a martial arts dojo). These will be handed out for every weekly sheet with five successful homework days. After the first week, for every day students do NOT do their homework, they will hand one shuriken back. I ask all parents to consider that this will require some participation daily on their part. There will be no miracle fix; you will find yourself wanting to slip into old habits while you re-learn how to help your child motivate themselves..... You will have to be diligent and attack this with the same skills you are trying to teach your child. By taking the homework sheets to class, I hope to assist parents to break the cycle of nagging, and old habits. Children can quite often be motivated to change behaviours by an outside influence, and parents can use the time to change their attitudes to homework as well. This is a win-win for everyone, and is how all my programs are modelled. 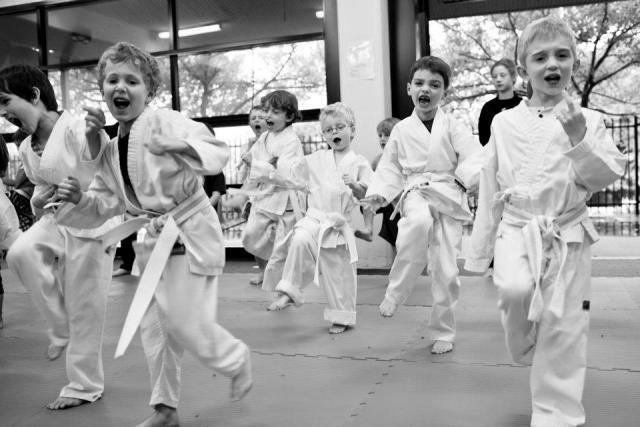 We work as a team, the parents, child and the dojo, to create change that is meaningful and real. In order to inspire PARENTS to participate fully I am going to offer up a prize for parents too. Every parent who successfully navigates and participates in the 8 week program will have their name placed in a barrel and the winning name drawn out of it on completion of the program will win... No fees for term four. At all. Even if you have six kids. The Orientation program is open to both Hoshin and Non-Hoshin students and we welcome everyone to participate. 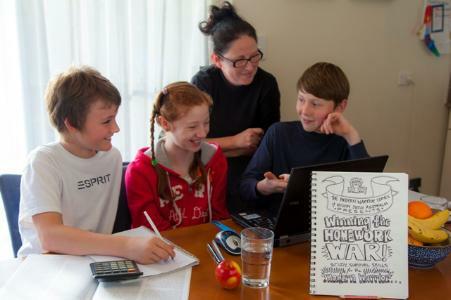 The program has fun tips, notes and ways to help children identify their own homework-blocking behaviours and strategies for overcoming them. 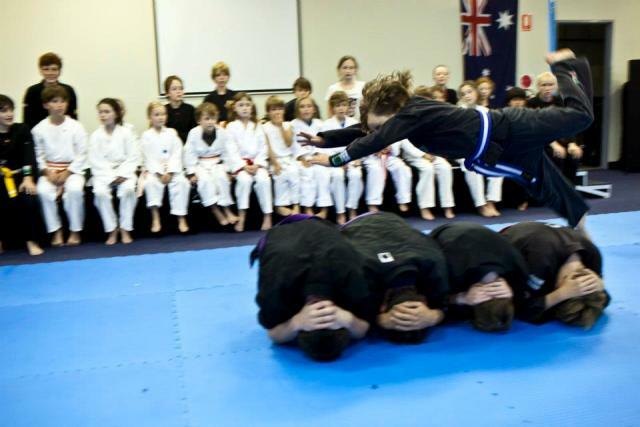 Rosemary Smith is a qualified counsellor and children's instructor and heads the Hoshin martial arts system for the Australia Pacific region. Rosemary has worked with some of Australia's most disadvantaged youth through the Salvation Army and Oasis for the past 16 years and has been volunteering with youth at risk for the last 20. Her programs have been participated in by tens of thousands of Australian school children and young people learning about Good Manners, Child protective behaviours, and of course, Anti-bullying. The Avalon dojo (school) uses martial arts as a tool for change and personal growth - students of all ages gain confidence and life changing skills not only in self defence, but communication, conflict resolution, leadership and community engagement. Copyright Rosemary Smith, 2012. All Rights Reserved. Photographs by Kellie Lafranchi. All Rights Reserved.